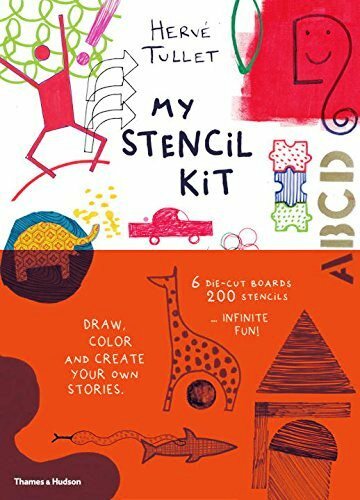 Sometimes an artist needs a bit of inspiration, and author Herve Tullet’s stencil and sketchbook activity kit, called My Stencil Kit, provides all that children ages 3 and up should ever need. This exciting kit consists of a paperback sketchbook and six die-cut stencil sheets. The stencil sheets are thick, sturdy and bursting with color. Young artists will have as much fun identifying the shapes on their stencils as they will have tracing the outlines and making their drawings come to life. Stencils include letters of the alphabet, numbers, thought bubbles, “pow” bubbles, foreign letters, and arrow signs. There are truck, car, spaceship, baby buggy and rocket ship outlines. There are flower, sun, bird, tree, cactus and Christmas tree outlines. 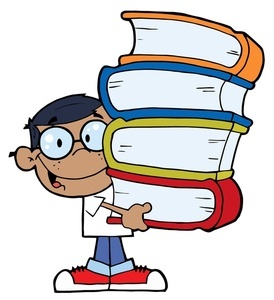 There are also fish, bird, dog, face, snowflake, moon…and every other outline you can think of to produce the best kiddie pictures ever. The stencil sketchbook is oversized—a great feature so young, inexperienced hands will have no problems manipulating the pages. The front cover is alive with kiddie pictures, colors and everyday shapes like giraffes, elephants, trees and cars, which all offer great examples of just what can be accomplished with the stencils. The sketchbook pages are filled with colorful circles, spirals, waves, suns, clouds and grass—a sort of “kickstarter” to help children get off on the right artistic foot. Children can use pencils, markers, colored pencils or ink pens to draw their shapes and tweak them into the art project of their dreams. This kit is great for budding artists or pre-k or early elementary classes where creativity and hand-eye coordination activities go hand in hand.